I never liked split pea soup before. Perhaps it was too thick or there had been some kind of meat added. I don’t know, but we do enjoy this nice light version that is also quick and easy. Put the frozen peas in a large soup pot. Cover them with water and add a vegetable bouillon cube. Boil for a few minutes, but don’t over cook. Thin to the consistency that you enjoy. 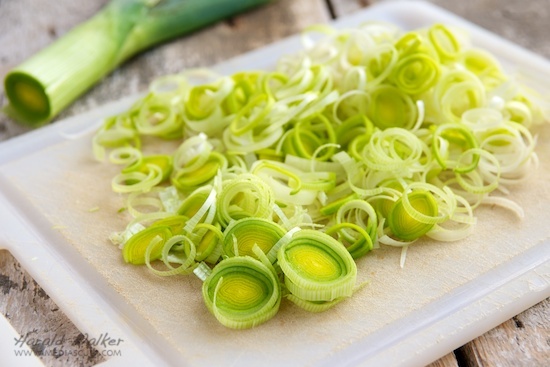 Slice the leek (white part) in small rings and add to the soup. Cook for a few minutes to warm the leeks. Serve with a crusty brown bread. 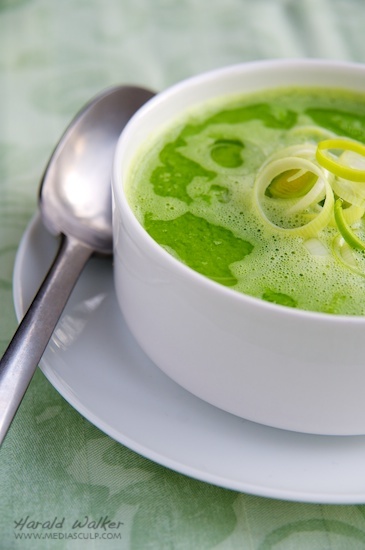 Posted by Chris Walker on November 20, 2006 in Leek, Pea, Soups.